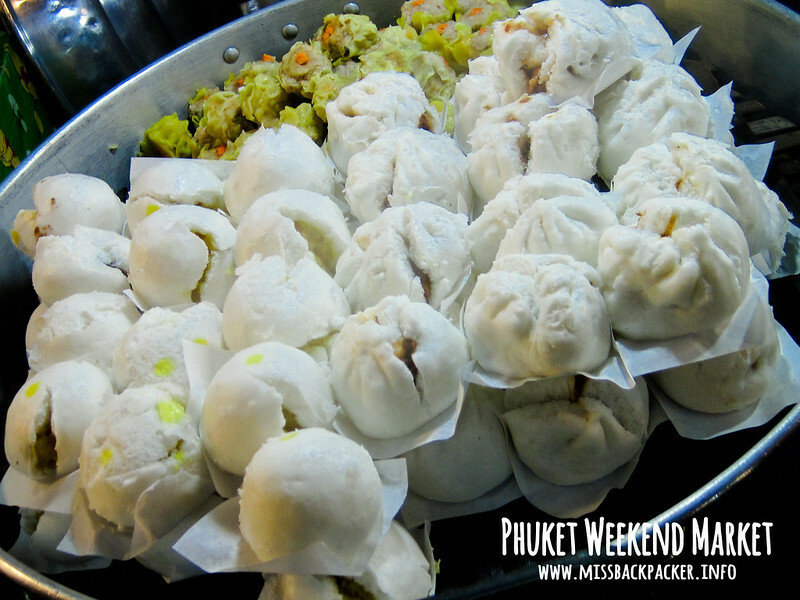 Phuket Weekend Market | Where Have You Been Lately? 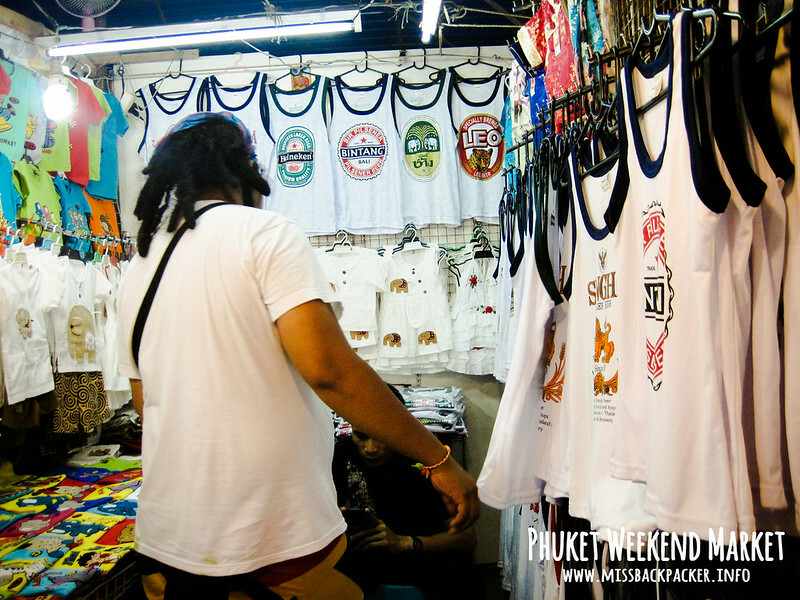 If you’ve already been in a tiangge, then you’ve been to Phuket Weekend Market; the only difference is that the vendors speak a different language and ask for a payment in different currency. 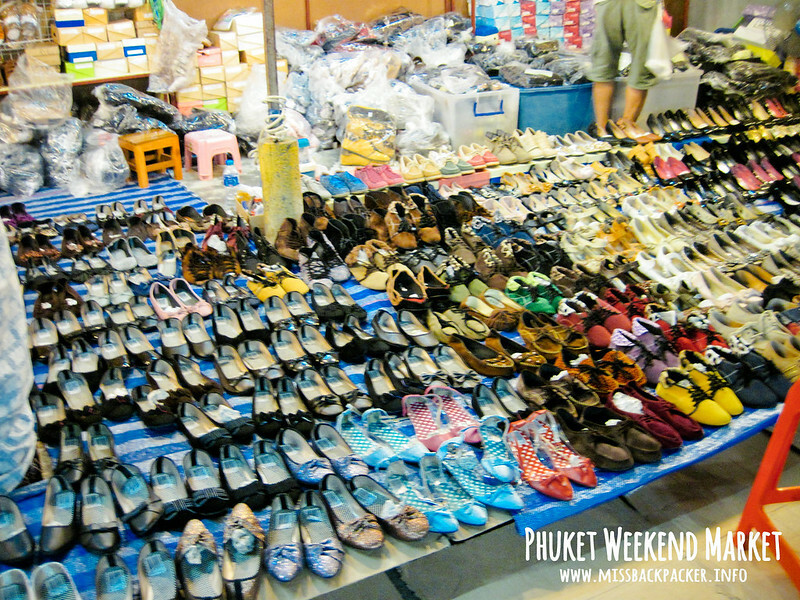 Welcome to Phuket Weekend Market! 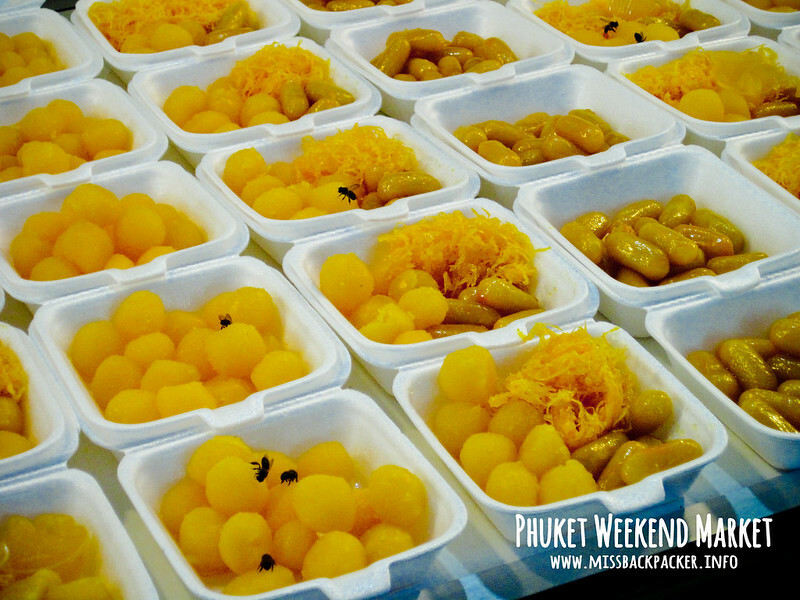 Known to the locals as Talad Tai Rot, Chao Fa Market, and Chao Fa Weekend Market, Phuket Weekend Market is not as big as the markets of Bangkok. Not even close to our Greenhills let alone Divisoria. 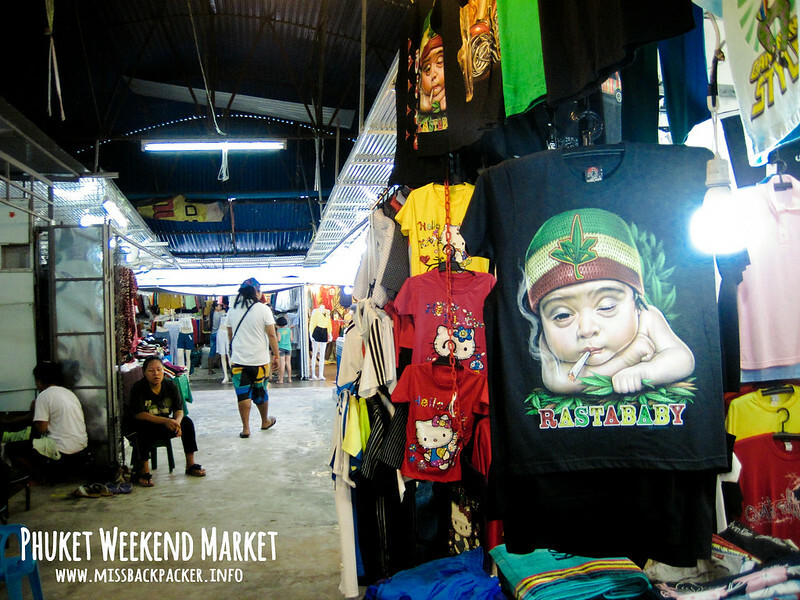 It contains basically the same items though, ranging from clothes, pirated items, quirky souvenirs, touristy memorabilia, and a lot more. This is also where tourists get to shop with the locals. 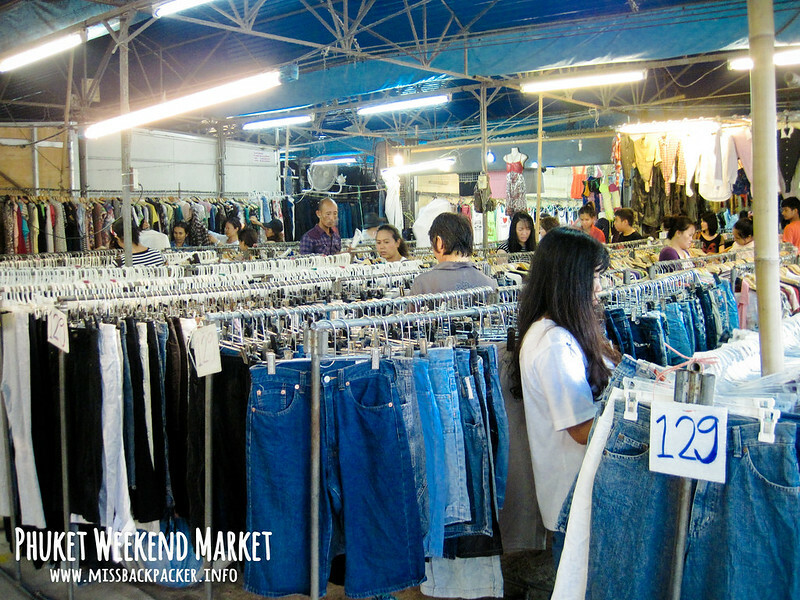 Cheapest sando we were able to find was THB 50 a piece. 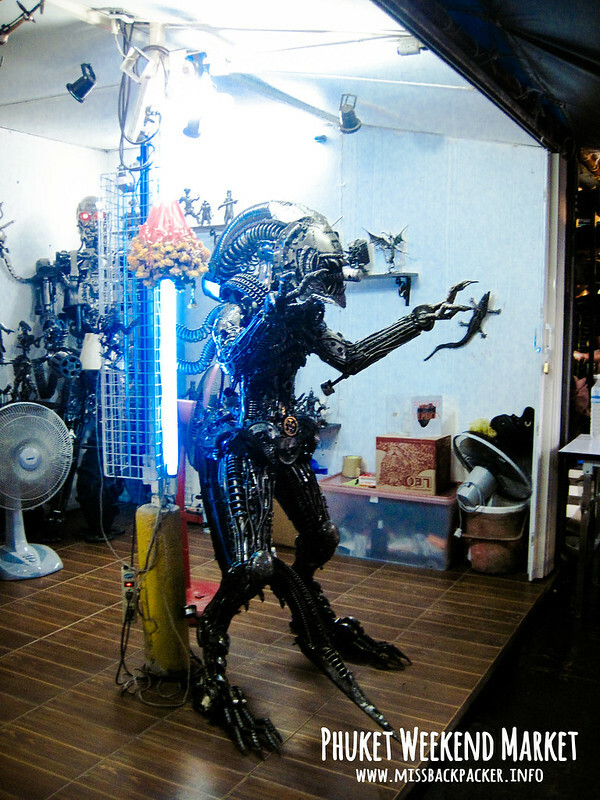 Just like a tiangge in the Philippines selling pirated DVDs. 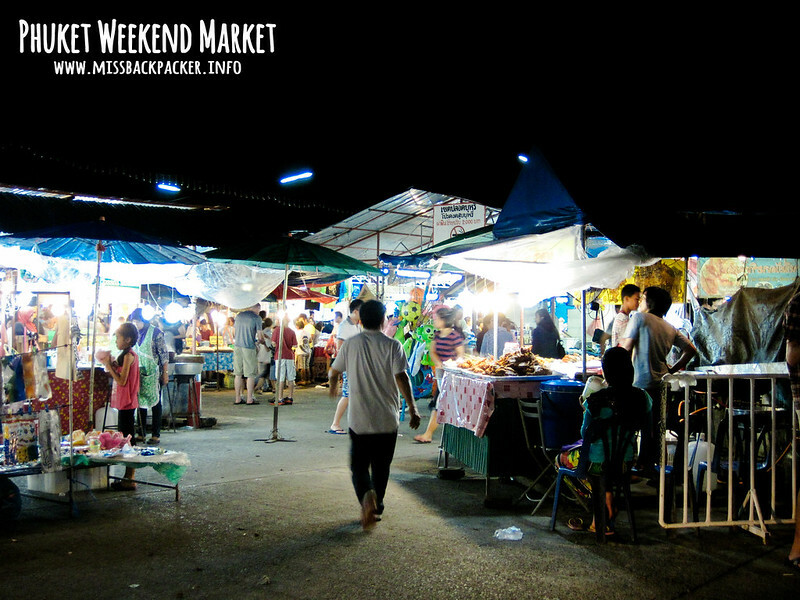 The weekend market is divided into two sections, the open section and the roofed section. I didn’t see any differences in prices and even the items sold between the two sections. The Rasta Baby is getting real high. 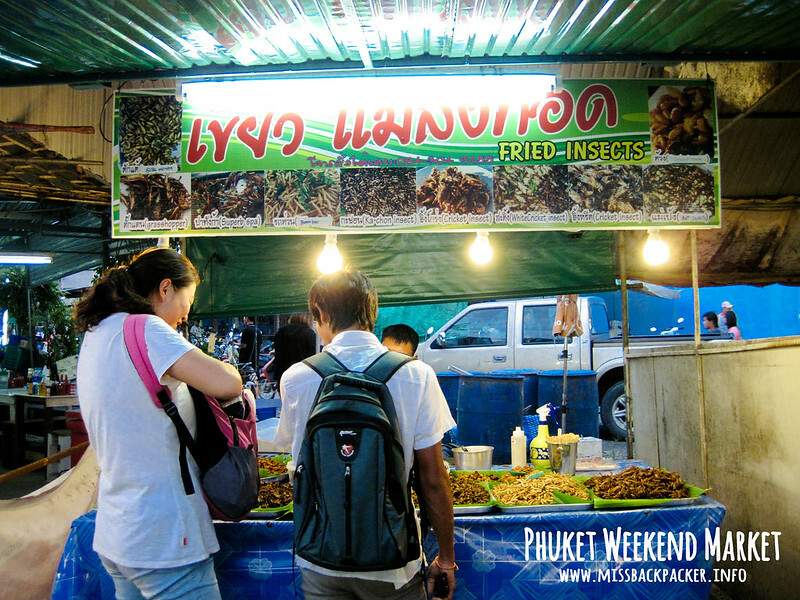 And just like a normal tiangge, Phuket Weekend Market has food stalls and carts selling normal Thai street food and other Asian pica-pica like siomai, fried insects, grilled seafood, pastries, rice meal, and a lot more. Of course, there are grilled food. Then dumplings and siopao. What’s siopao in English, BTW? And yellow food with bees on them. And more quirky food of different colors! 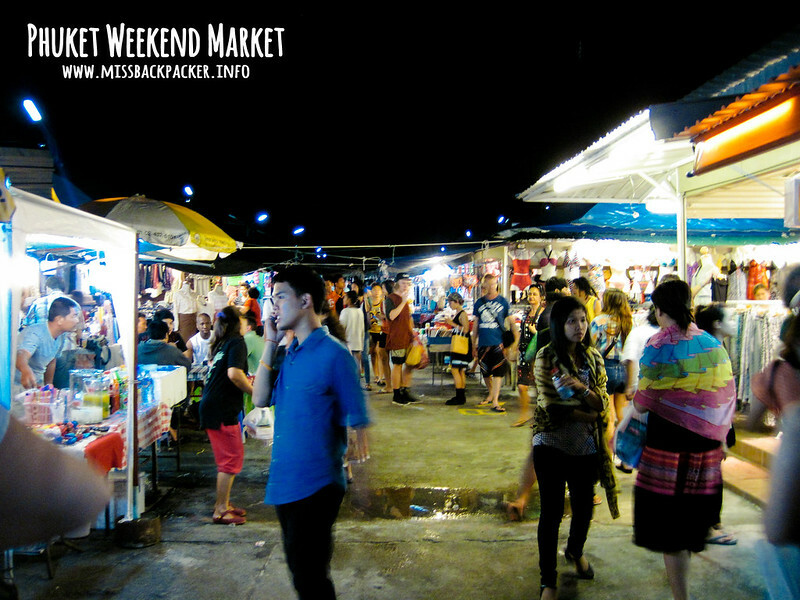 The weekend market opens from 4PM to 12AM during, of course as its name suggests, Saturday and Sunday. 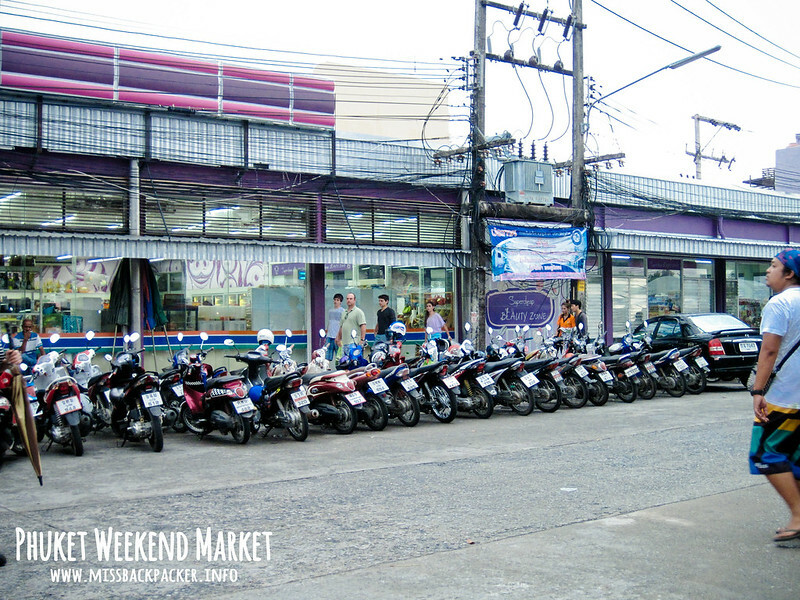 There aren’t much parking spaces within the market so bringing a motorcycle or just hiring a cab will be best. You see that pink Vespa, right there? Bet not. That’s our ride. Still more motorbikes on the other side of the market. 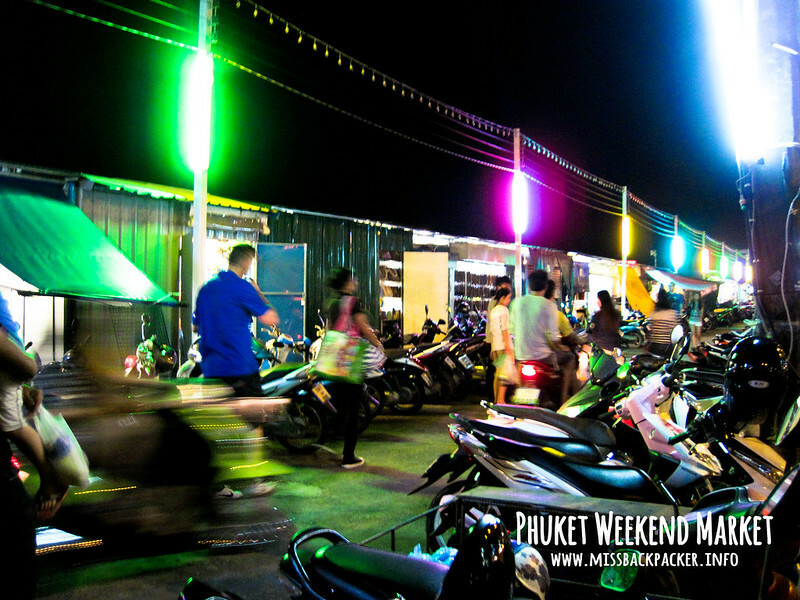 Phuket Weekend Market is situated along Chao Fa West Road, one kilometer south of Central Festival shopping mall and is opposite the Buddhist temple Wat Naka. Turn left at the first set of traffic lights. Bring along a map with you to make your navigation easier. 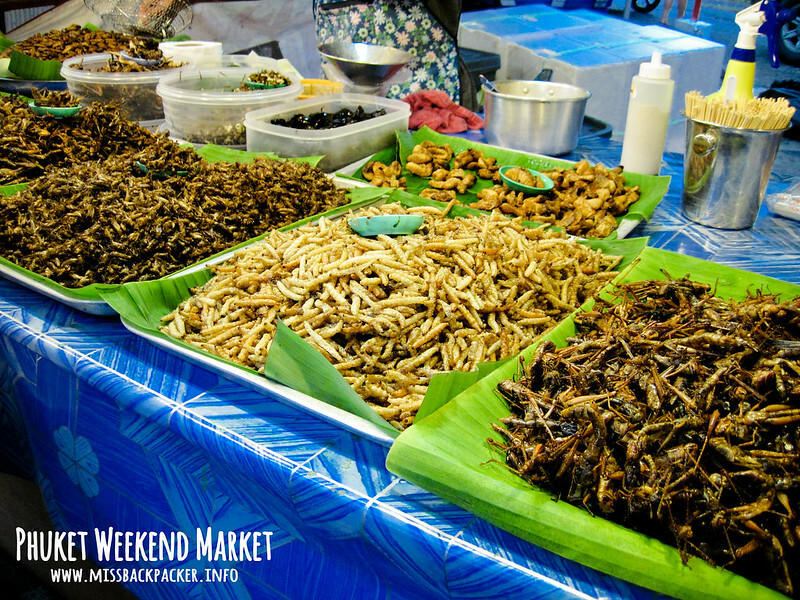 And oh, here’s to boost your appetitite: a closer look of the fried insects. Not interested? Well, it’s still worth visiting to at least say you’ve been there. 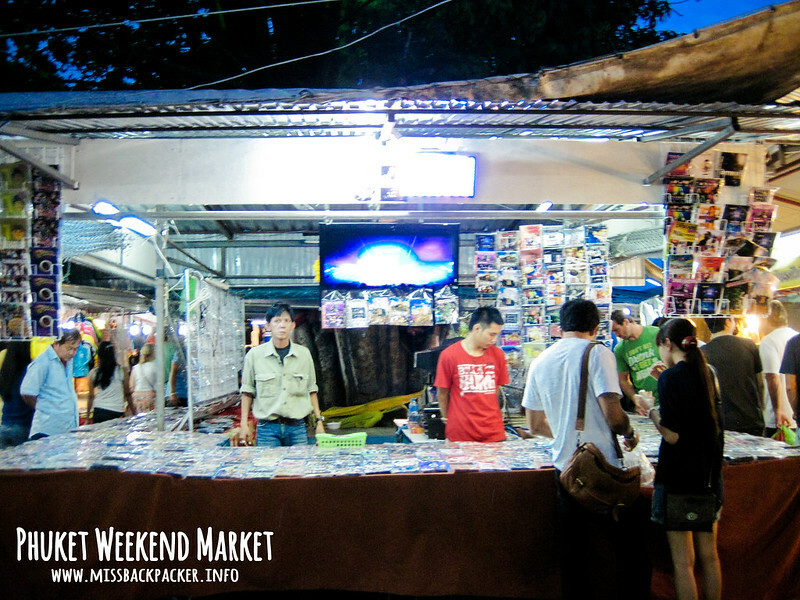 I miss this market! Lots of choices but not overwhelming. Shopped lotsa tops here. Then stuffed ourselves with lotsa grilled stuff after. Haha. Hello,Thanks for the great info. 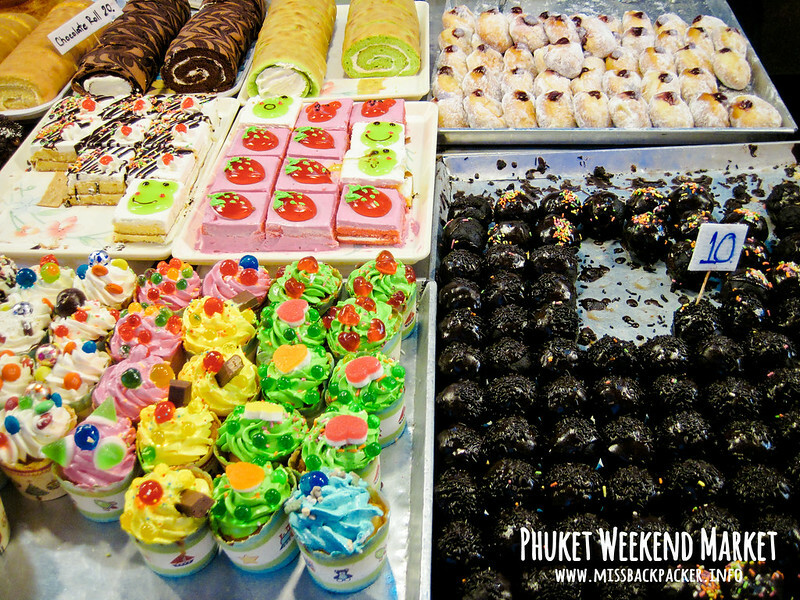 I will be in Phuket from Thurs Dec 1 to Mon. I have some day trips planned for the weekend. 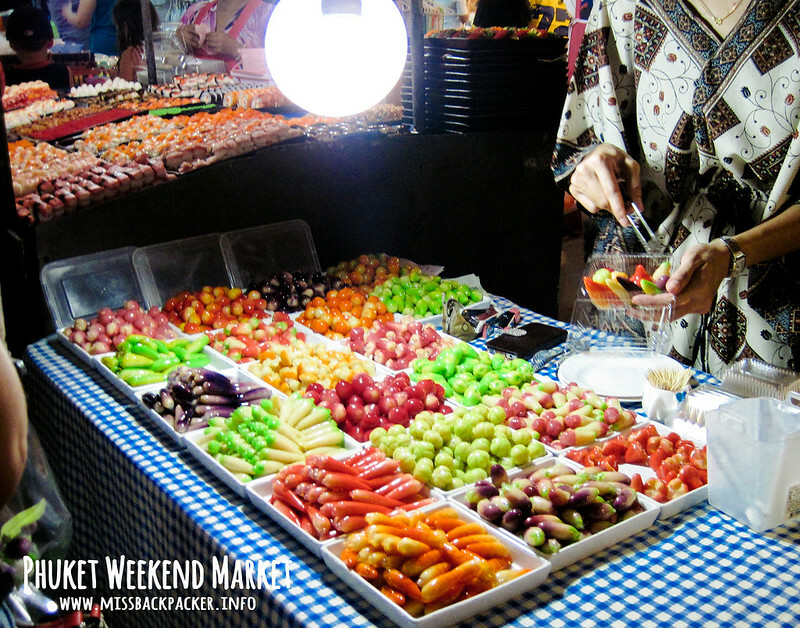 Should I reschedule so that I can visit the weekend market? 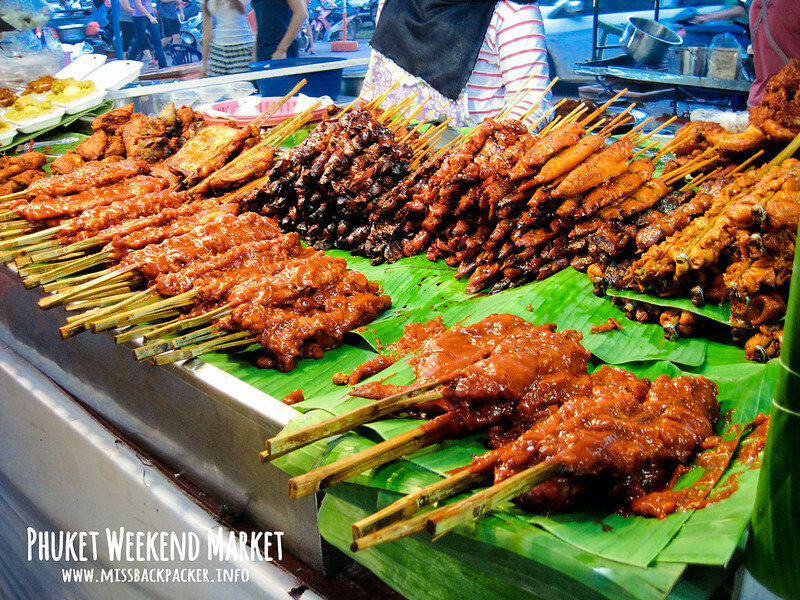 Are there other markets to visit? 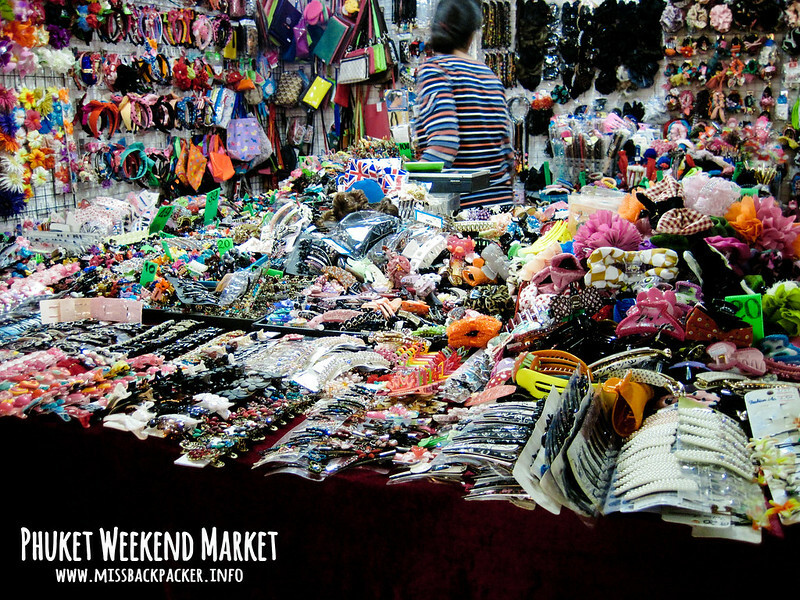 The weekend market is open on Saturdays and Sundays, 09:00 – 18:00, and Fridays 18:00 – 24:00. Plant sections are also open on Wednesdays and Thursdays, from 07:00 – 18:00.